Amoruso coined the term in her bestselling book titled “#GIRLBOSS,” where she explains her rise to success by highlighting her initial failures. 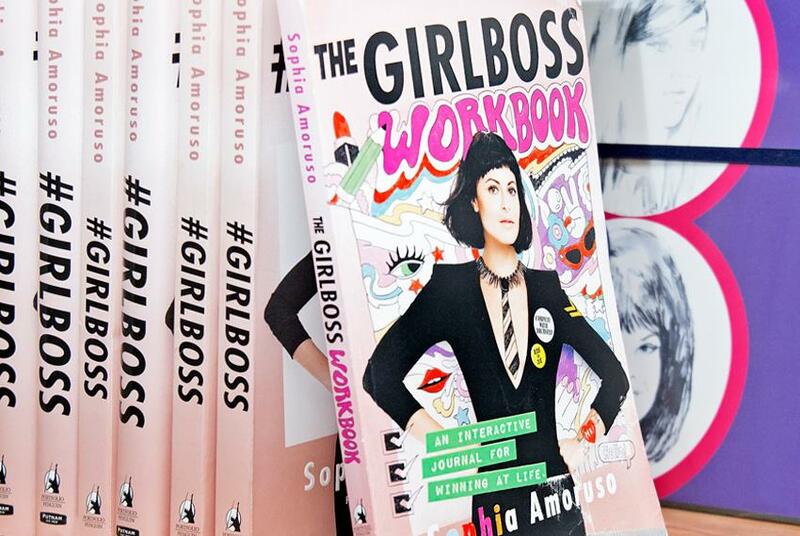 Since then, she has come out with a new book titled “The GIRLBOSS Workbook,” which is an interactive way to organize all aspects of your life into becoming the ultimate girlboss. It is the “Wreck This Journal” of getting your life together. In this workbook, Amoruso targets the areas of work, money and wellness as key factors that can be improved in everyday life, while also having a little fun doing it. Part one of the workbook helps with spicing up your social media profile and resume to help land your dream job. It helps you to not be that coworker and not completely fall apart over getting fired. The second part is all about managing money. It gives you a life calculator to budget income and tips to help keep you from breaking the bank. In addition, it gives some inspiration towards thinking about a side hustle. Next, part three is about taking a step back and evaluating your life. In this section, there is a focus on seeing what you want to accomplish and learn. It encourages you to get in touch with the things that you fear and the things that make you amazing. Lastly, it talks about self-love and relationships. It helps figure out what you are looking for in a life partner, but also owning up to your own flaws to get a better understanding of who you are as an individual. “The Girlboss Workbook” is a perfect way to illustrate your own path in life. It is a form of inspiration to find your inner girlboss. “The Girlboss Workbook” is out now.